The European Parliament passed a resolution Thursday calling Israel`s decision to demolish and transfer the West Bank Bedouin village of Khan al-Ahmar a breach of international humanitarian law. The resolution also demands compensation from Israel for the destruction of European Union-funded infrastructure found in the village. The resolution warns Israeli authorities of the decision`s repercussions, citing the Fourth Geneva Convention, wherein it is stated that forcible transfer of an occupied territory, unless the security of the population or imperative military reasons so demand, is prohibited and constitutes a grave breach of international humanitarian law. 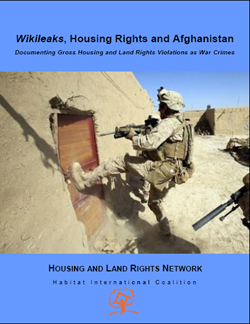 Breach of the Fourth Geneva Convention is considered a war crime by the International Crime Court. Israel is bound by the law of occupation and has a duty to guarantee that people are able to live as normal a life as possible, in accordance with their own laws, culture, and traditions, the statement further read. 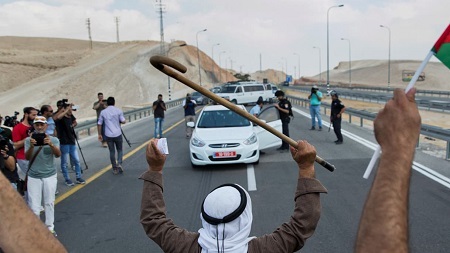 Last week, the Israeli High Court of Justice rejected appeals by Khan al-Ahmar residents and approved the eviction and demolition of the village. In the resolution, the parliament supported the recent statement of EU`s foreign policy chief Federica Mogherini, as well as a joint statement by the U.K., Germany, France, Italy and Spain calling on Israel to renege on evicting and demolishing the village. The resolution further calls Israel to cease its policy of threats of demolition and actual eviction against the Bedouin communities living in the West Bank and the Negev. It also mentions EUR 315,000 of EU funds invested in the village, and demands compensation from Israel for the destruction of EU-funded infrastructure. Parliament members further demanded EU leaders act to ensure Israel provides basic amenities to the Palestinian residents of area C.
Earlier Thursday, Israel security forces demolished five shacks built near Khan al-Ahmar by Palestinian activists. The demolished structures were all set up in the past few days and housed activists outside the village. Local Bedouins were not residing in the structures that were demolished. On Tuesday, Mogherini said that Israel`s demolition ofKhan al-Ahmar would endanger the prospect of a two-state solution. The village`s demolition, which is set to go ahead after a petition against it was rejected by the High Court of Justice last week, would be a blow against the viability of the State of Palestine and against the very possibility of a two-state solution, Mogherini said at the European Parliament`s plenary session on the looming demolition. The village is located in the so-called ‘E1’ area, which is of strategic importance for preserving the contiguity of a future Palestinian state, she noted, adding that the construction of Israeli settlements alongside the demolition of Palestinian homes will only further entrench a one-state reality, with unequal rights for the two peoples, perpetual occupation and conflict. Mogherini said that obtaining a two-state solution was mainly . . . in Israel`s interest but that it was under serious threat – more than ever before – and yet there is no realistic and viable alternative to the conflict. This is why the European Union does not and will not give up on a negotiated two-state solution, she noted. Khan al-Ahmar was built on state-owned land and its houses were constructed without permits. The village was slated to be evacuated last month before the eviction of its residents was halted by the High Court to consider petitions filed by residents. In turning down the petitioners, the court also rescinded the temporary injunctions issued in July that had barred authorities from evicting residents. Photo: Protesters fly Palestinian flags near the West Bank Bedouin community of Khan al-Ahmar, Friday, 7 September 2018. Source: Nasser Nasser, AP.